Snickers has released a new commercial, featuring the new Snickers Crisper. 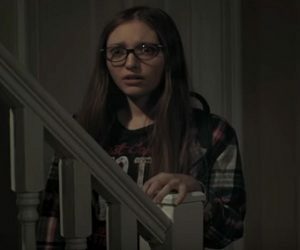 The 30-second spot, titled “Curfew”, features a mother lecturing her teenage daughter for returning home early at night. “What are you doing? It’s 11pm”, says the woman seeing the girl entering the house. “Mom, I can explain”, starts the girl. “The real fun doesn’t start until 3am. Why aren’t you hanging out with bad influences and kids who do poorly in school? Or in a gang initiation? You should be out there, disappointing your father”, says her mom, adding that she needs to clean the place up. The next scene features the woman starting “vacuuming” with the lawn mower. The ad ends with the voiceover saying “Bloopy: Bad Judgement + Loopy. Hunger keeps inventing new problems, so we invented new Snickers Crisper”.